What information should I know about my privacy and MyMagic+ at Walt Disney World Resort? MyMagic+ is designed to make your visit to the Walt Disney World Resort (the “Resort”), and other participating operations within the Walt Disney Parks and Resorts business segment, even more immersive and personalized. If you choose to participate in MyMagic+, we will collect information from you online and when you visit the Resort. Because many features of MyMagic+ are new, you might have questions about the information we collect and how we use it to deliver your experience. Below are answers to questions you may have. We value our guests and are dedicated to treating the information you share with us with care and respect. As we continue to enhance the park experience and develop new ways of interacting with you, we will update these FAQs. We also collect certain information from you while you are at select locations throughout the Resort through means other than the My Disney Experience website or mobile app. 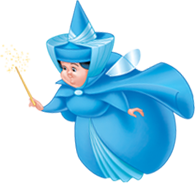 The following Privacy FAQs address aspects of MyMagic+ that may be of interest to you. What are the RF Devices used for MyMagic+? The benefits of MyMagic+ are delivered using either radio frequency (RF) technology-enabled MagicBands or RF cards ("RF Devices"). The RF Device you receive is unique to you and allows us to authenticate you and the benefits associated with you. You can use your RF Device to enter the theme parks and water parks and to redeem FastPass+ selections if park admission entitlements are associated to your RF Device, to access your room if you are staying at a Disney Resort hotel, and to make purchases at select Resort locations. And, if you choose to use a MagicBand, it can add a touch of magic to your vacation by unlocking special surprises, personalized just for you, throughout the Walt Disney World Resort. How do the RF Devices work? Each MagicBand contains an HF radio frequency device and a transmitter which sends and receives RF signals through a small antenna inside the MagicBand. Each RF Card contains a passive HF radio frequency chip. Some of your benefits will be unlocked by "touching" your MagicBand or card to short-range reader touch points located at the Resort, including access to your Disney Resort hotel room, entry to a Disney theme park or making purchases at select Resort locations. The MagicBands can also be read by long-range readers placed in select locations throughout the Resort used to deliver personalized experiences and photos, as well as provide information that helps us improve the overall experience in our parks. Guests can participate in MyMagic+ and visit the Resort without using the MagicBand by choosing a card, which cannot be detected by the long-range readers; however, certain features of MyMagic+ are dependent upon long-range readers, including automatic delivery of certain attraction photos and videos and some personalized offerings, which are only available to guests using a MagicBand. The RF Devices are not GPS-based and do not enable collection of continuous location signals. Instead, MyMagic+ uses both short- and long-range readers located within the Resort to deliver the benefits of MyMagic+. The RF Devices themselves do not store your personal information. Rather, your RF Device contains only a randomly assigned code that securely links to an encrypted database. This allows us to associate your RF Device with the benefits you have purchased and to collect information regarding your interactions with the various RF Device readers located at the Resort. What information is collected through your use of the RF Devices and how is it used? When you use your RF Device at touch points (e.g., for Disney Resort room entry, park admission, FastPass+, and purchases at select Resort locations), we are able to record your transaction and, when necessary, make the appropriate adjustment to your account. The long-range readers will be in specific locations to enable the delivery of attraction photos and videos and personalized offerings. Your interactions provide us with information about the products and services you experience in the Parks; your wait time for rides, restaurants and other attractions; and similar types of information. If you sign up on the My Disney Experience website or mobile app to receive special email and/or text message alerts during your Resort visit, we may use information collected through your use of the RF Device to fulfill your request. We may also use the information we collect through your use of the RF Device to send you information about products and services that we think may be of interest to you, but you can always choose not to receive marketing information from us. We will not use information collected in connection with MyMagic+ to personalize or target advertising to children under age 13. Aggregate information can be used to better understand guest behavior and make improvements to the guest experience (e.g., managing wait times and improving traffic flow). How is information collected through your use of the RF Devices shared? We may share information about your experiences at the Resort with other members of the Walt Disney Family of Companies, but you can always choose not to receive marketing from us. However, information about your specific park experience collected automatically when your MagicBand is read by long-range readers will not be shared with other members of the Walt Disney Family of Companies to use for marketing purposes unless you elect that we do so. We will only share information about you that is collected automatically when your MagicBand is read by long-range readers with third parties for their marketing uses if you elect that we do so. What choices are available regarding information collected through your use of the RF Devices? Guests participating in MyMagic+ have a choice about how their information is used for marketing and can choose not to receive marketing information from us by opting out of receiving such communications. MyMagic+ also allows guests to receive offers and tips during their visit to Walt Disney World, but only if they request them from us. We will not use information collected in connection with MyMagic+ to personalize or target advertising to children under age 13. Are all guests required to participate in MyMagic+? Guests can enjoy admission to the parks without having to participate in MyMagic+, register on the My Disney Experience website or provide any personal information. Guests who choose to participate in MyMagic+ and register on My Disney Experience will be able to use the FastPass+ service, make dining reservations online, and enjoy the convenience of having their tickets, FastPass+ selections, Resort room access and other enhanced features all in one place. Guests participating in MyMagic+ always have the option to use a card instead of a MagicBand. Guests can also choose whether to use their RF Device to make purchases at select Resort locations. Can I use my RF Device after my vacation? Guests can keep their MagicBand or RF Card after their vacation and may use it on a return visit to the Resort. In addition, from time to time, members of The Walt Disney Family of Companies may introduce products or services that can recognize the RF Devices and deliver experiences or value outside the Resort if the guest chooses to use their MagicBand or RF Card for those purposes. Information will be collected in connection with such use of the RF Devices only if the guest chooses to avail themselves of such products and services. RF Devices are intended for use in the United States only. What is the Ticket Tag service and what information is collected through it? We offer the convenience of Ticket Tag at the entrance of many of our theme parks and water parks. Ticket Tag helps to facilitate ease of re-entry into our parks and helps prevent fraud. In order to use Ticket Tag, you simply place your finger on a reader. The system, which utilizes the technology of biometrics, takes an image of your finger, converts the image into a unique numerical value and immediately discards the image. The numerical value is recalled when you use Ticket Tag with the same ticket to re-enter or visit another Park. Ticket Tag does not store fingerprints. Are all guests required to use Ticket Tag? If you don't want to use Ticket Tag, you can simply carry and show a photo ID that matches the name identified with your ticket. How do we keep the information we collect secure? The security, integrity and confidentiality of your information are extremely important to us. We have implemented technical, administrative and physical security measures that are designed to protect guest information from unauthorized access, disclosure, use and modification. From time to time, we review our security procedures to consider appropriate new technology and methods. Please be aware that, despite our best efforts, no security measures are perfect or impenetrable. You can learn more about our privacy and data collection policies by visiting MyDisneyExperience.com/privacy. You may also contact Guest Services at 407-WDISNEY (407-934-7639). View all My Disney Experience questions.